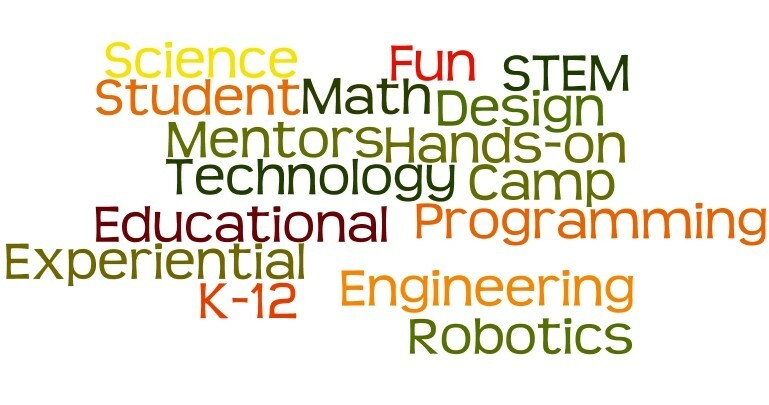 Robotics And Beyond is a 501(c)3 educational organization founded in 2003 and focused on science, technology, engineering, science and mathematics (STEM) and design. The founders, staff and volunteers share decades of industrial and teaching experience in a multitude of STEM and design disciplines. We share a passion for encouraging and supporting the next generation of technologists, scientists, and creative thinkers. We serve over 300 youth and adults in summer and year-round programs from over 50 towns, three states and a 60 mile radius. 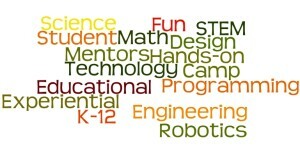 Our programs serve K-12, college and alternative students, adults and teachers. We have found great success with individuals having special learning needs. For a two-page Executive Overview, visit here. For an overview of Robotics And Beyond history, mission and impact, visit here. For details on some important high-impact program areas, visit here. Our Mission is to help young people thrive in the technological world they encounter, discover talents, think and communicate effectively, create passionately, take pride in accomplishments, pursue fulfilling careers, give back and become models for future generations. Help young people discover and develop their talents in Science, Technology, Engineering, Mathematics (STEM) and Design-related fields, and inspire entry to these fields through insight to careers and education paths and the use of relevant resources and projects. Provide a highly novel, creative and inspiring environment, with resources and guidance that promote thinking, problem solving and experimentation while displacing fear of failure. Foster individual confidence, and communication and collaboration skills, through opportunities for individual students and team projects. Serve young people and adults with different learning needs by providing environments, projects and guidance that meet their talents and needs. Promote an appreciation, interest and passion for teaching among young people through our innovative and highly effective approach to mentor development. Improve the ability and confidence of parents and professional teachers to promote STEM and design fields in their classrooms. We integrate broad ranges of age, interest, ability, and learning style, yielding impressive results and synergies. Students find a freedom to explore original ideas, fail and try again, and respectful critiques by peers. Barriers between ages, towns, schools, interests and abilities disappear. We utilize projects and resources relevant to careers and education paths to those careers, and perspective on careers and education options. Peer mentoring and Internship programs have provided invaluable learning and teaching experience for middle school, high school and college students. Peer mentoring is often cited by parents and students as the single most important and valuable experience of their pre-college years. Peer Mentoring: provided 100+ Mentor positions to middle-school to college students. Internships: 8 formal positions since 2005, 5 positions in 2013-14 alone. Student Volunteering: 5500 hours since 2004. Adult Volunteering: 6000+ hours by founders since 2004; 800+ hours by 30 other adult since 2009. Students Served: over 700 since 2004. Transformative experiences reported by students, parents, grandparents. Students discover talents, interests, confidence, peer relationships. Mentors discover challenge and reward of teaching. Interns work deep into interests yielding direction, college and job opportunities. Special Needs Students: Safe, inspiring, compatible, empathetic environment. Projects that match talents and needs. Relief and gratitude from parents desperate for resources.